A Palestinian was killed and three others were injured as Israeli warplanes struck al-Qarara in the southern Gaza Strip late Sunday, a Ma'an reporter and Israel's army said. Medical sources said the victims had been evacuated from the site of the attack. The Israeli military said in a statement that "aircraft just targeted terrorists in the southern Gaza Strip, during their final preparations to launch rockets at civilian communities of southern Israel." An Israeli army spokesman told Ma'an that he could not confirm whether or not the strike killed a Palestinian. Earlier Sunday evening, militants in the Gaza Strip fired rockets into southern Israel, two of which were intercepted by Israeli's Iron Dome anti-missile system, Israeli media and the Israeli army said. Two mortar shells fired from Gaza also landed in Israeli territory, the Israeli news site Ynet said. The army said on Twitter that Gaza militants also opened fire at soldiers near the border with Israel, adding that soldiers responded by returning fire "at a suspect in the vicinity." No damage or injuries were caused by any of the attacks, Ynet said. Israel had launched airstrikes against 12 sites in Gaza the night before, lightly injuring two people. On Saturday evening, four rockets fired from Gaza landed in southern Israel, one of them hitting a factory and causing a fire. 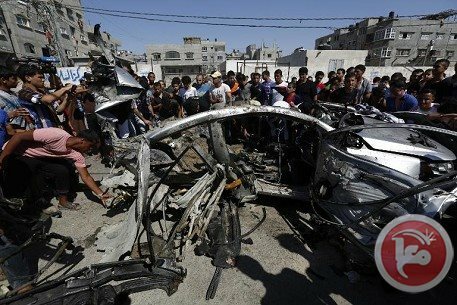 On Friday, two Palestinians were killed in an Israeli airstrike on a car in a refugee camp near Gaza City. The army said the two were had been involved in firing rockets at Israel in recent days. The back-and-forth attacks came amid increased tensions in the West Bank, as Israel toned down a massive military search campaign for three missing Israelis. The campaign, the largest deployment in the West Bank since the early 2000s, has left eight Palestinians dead, more than 130 wounded, and more than 560 detained. It has included near-nightly airstrikes on Gaza as Israeli forces pound the besieged enclave in response to rocket attacks by militants angry about the West Bank offensive. Correction: An earlier version of this story reported that the Israeli attack was a shelling. In fact, it was an airstrike. The Israeli occupation forces (IOF) at dawn Sunday abducted 25 Palestinian citizens from different areas of the occupied West Bank, bringing the total number of Palestinian captives detained in the Israeli arrest campaign to 600 citizens. 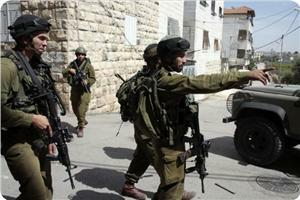 The military operation has been launched under pretext of the alleged kidnapping of three Israeli soldiers. A Palestinian student was arrested from his own home following an overnight Israeli raid on Madama village, south of Nablus. The IOF stormed the house of Palestinian student Muhammad Na’im Faraj, enrolled at An-Najah University, and ransacked it using sniffer dogs. The local SAFA News Agency quoted eye-witnesses as saying the IOF turned one of the house rooms into a site for on-the-spot investigations, where Muhammad Na’im Faraj and his brother Udai were interrogated. Another 55-year-old Palestinian citizen, identified as Omar Abu Isha, was arrested by the Israeli soldiers in al-Khalil after the IOF claimed he is the father of a suspect involved in the alleged kidnap of three soldiers in al-Khalil, SAFA said, quoting local sources. A large Israeli military force cordoned off Abu Isha’s home in Bir al-Mahjar, north of al-Khalil, before taking the hostage to an unidentified destination. Violent clashes broke out after the IOF invaded al-Aroub refugee camp, north of al-Khalil, and abducted scores of Palestinian refugee children. According to sources in the camp, the abduction of al-Aroub children took place following a series of abrupt break-ins into Palestinian homes, using tear gas canisters and acoustic bombs all the way through the raid. The Israeli attacks culminated in a spate of raids on Beit Fujjar, south of Bethlehem. The IOF raked through the area and combed its neighborhoods under the same pretext. In an earlier incident Saturday, Chief of Staff of the Israeli occupation army, Benny Gantz, issued orders for the escalation of the West Bank military operations during the holy month of Ramadan, claiming his army is making many leaps forward in their search for the missing soldiers since two uninterrupted weeks. The Israeli Channel 7 said the occupation troops have stormed 2200 targets so far, escorted by more than 15 thousand soldiers stationing across the Occupied West Bank. Al-Aqsa Foundation for the Maintenance of Holy Sites revealed in a recent report the verbal abuses and physical assaults on Palestinian detainees held in the Israeli detention centers in the occupied city of Jerusalem. The report pointed out that the recent period had witnessed a serious escalation in the Israeli attacks against women, elderly people and children detained, without charge, on the background of their daily presence in al-Aqsa Mosque. 52-year-old Haj Mohammad Shaukat Khatib said the occupation forces arrested him on the 10th of June during a raid on al-Aqsa Mosque, under the pretext of obstructing the police work and attacking a settler, and claimed they possess videos that prove the accusation. He was taken to a police station where the investigator accused him of rioting and attacking a citizen in "public squares", and ordered him to take his clothes off on suspicion of drug possession. Aida Seedawi, aged 53 from the city of Jerusalem, said that she has been also severely attacked by the Israeli policemen at Bab Hetta during her arrest. When she arrived to the police station, the investigator accused her of beating the extremist rabbi Yehuda Glick, who has been organizing regular tours in al-Aqsa Mosque accompanied by settler groups, and of threatening to "blow up" al-Aqsa Mosque, a charge that was met with indignation on the part of Seedawi. Seedawi also said that she was insulted by the Israeli investigator when he asked her to work with them and offered her a sum of money in return. The old woman was detained under harsh conditions. She was held with criminal prisoners in a small room with four dirty beds, internal dirty toilets, and a surveillance camera. Seedawi was freed after more than seventeen hours on bail. The court ruled that she will be deprived of entering al-Aqsa Mosque for thirty days, despite it was proven that she did not commit any criminal act. The Mizan center for human rights recently issued a booklet entitled "Human rights violations in the oasis of democracy", revealing the Israeli occupation’s violations in Al-Aqsa Mosque during the Hebrew Passover feast based on testimonies of some worshipers who were detained by the Israeli occupation authorities. Al-Aqsa Foundation, for its part, quoted in its report the worshipers' statements in which they described the different kinds of torture they were subjected to in the Israeli detention centers. Mohamed Jumuaa, aged 30 from Taybeh city, said he was arrested with two other young men Wessam Yassin and Abdullah al-Tiby by the Israeli police before dawn prayer from the bathrooms inside al-Aqsa Mosque and were beaten during their arrest. "The Israeli policemen took us to Bab Hetta, where they tied our hands with plastic cuffs and started to beat me and the other men. Then they took us in the car to a police station next to the Buraq Wall while we had no idea about our charges." “Upon my arrival to the police station”, Jumuaa added, “I was beaten by the policemen for four hours, and then I was taken to a small bathroom where I was attacked again”. Wessam Yassin said: "They want to humiliate us. I was severely beaten in different parts of my body, and I was seriously injured in my right eye and head. I was bleeding but the soldiers continued to hit me." Lawyer Omar Khamaisi, from the Mizan center, said the center will file a complaint on behalf of those who have been abused to the competent committees in the Human Rights Council in Geneva to expose the Israeli violations and crimes against Al-Aqsa Mosque and the worshipers. For his part, Dr. Hikmat Naamna, director of Al-Aqsa Foundation, said that the Israeli occupation’s repressive policies aim to terrorize the Palestinians to push them give up their rights, and to gradually impose a fait accompli and divide the Aqsa Mosque, through encouraging settlers’ incursions into it while imposing severe restrictions on the entry of Muslims. He also pointed out that 30 students in Al-Aqsa have been arrested since the beginning of this year for flimsy reasons. Dr. Naamna stressed that despite these violations, the worshipers and students will never leave Al-Aqsa Mosque. 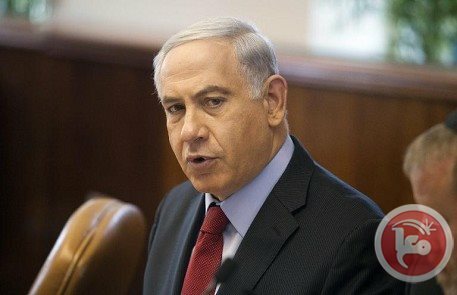 Israel is "ready" to expand its operations in Gaza, Prime Minister Benjamin Netanyahu warned Sunday after the air force struck 12 targets overnight following a surge in militant rocket fire. Speaking to ministers at the weekly cabinet meeting, the Israeli premier said the almost-nightly military strikes on Gaza could be expanded should the need arise. His remarks came after a sharp hike in tensions along the border as militant groups have stepped up their fire on southern Israel. "Over the weekend, the IDF attacked multiple targets in response to firing at Israel from the Gaza Strip. We are ready to expand this operation as per need," Netanyahu said, without elaborating. Speaking to army radio ahead of the cabinet meeting, Israel's hawkish Foreign Minister Avigdor Lieberman warned a limited response would only strengthen the Islamist movement Hamas, which held power in Gaza for the past seven years but stepped down earlier this month when a unified government with the West Bank was sworn in. "We have seen that, at the end of the day, limited operations only strengthen Hamas so the alternative is clear," he said, repeating his long-held assertion that Israel should re-occupy the Gaza Strip, which it left in 2005. Hamas is currently observing a ceasefire with Israel reached in in 2012, after they fought an eight-day war that left 170 Palestinians and four Israelis dead. The military wings of other Palestinian factions, however, regularly fire rockets from Gaza into Israel, with most of the projectiles landing in open areas without causing injuries or damages. Israeli warplanes struck Gaza 12 times overnight, with Palestinian officials saying two people had been lightly injured. The army said the sites targeted were being used for "terrorist activity." The raids took place after six rockets struck southern Israel on Saturday evening, one of which hit a paint factory in Sderot industrial zone, causing an explosion and major fire as the flammable substance ignited, police said. On Friday, two Palestinians were killed in an Israeli air strike on a car near Gaza City, with the military saying they had been involved in firing rockets at Israel. Hours earlier, a bomb had exploded along the southern sector of the border, prompting Israeli tanks to open fire towards the southern city of Khan Yunis, injuring five Palestinians, one of them a child. The military said it had fired on "lookout posts used to guide the attack" with Palestinians officials saying it had targeted "two mosque minarets east of Khan Yunis." Over the past fortnight, 25 rockets fired from Gaza have struck southern Israel out of a total of 28 since the start of the month, prompting a series of almost nightly Israeli air strikes. Last month, the total was seven. The rise in rocket fire has coincided with a huge Israeli arrest operation in the West Bank to track down three teenagers who went missing on June 12, whom Israel says were kidnapped by Hamas militants. So far, more than 400 Palestinians have been arrested, most of them Hamas members, and another five have been killed. But there has been no claim for the youths' abduction, nor has there been any indication of their whereabouts. 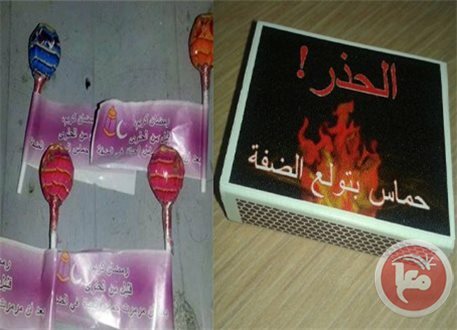 Israel has dropped hundreds of anti-Hamas lollipops in two of the West Bank's largest cities, in a renewed attempt to incite Palestinian popular opinion against the Islamist political group. 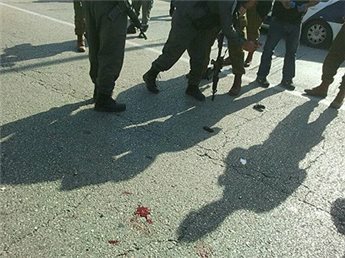 Palestinian residents of Nablus and Ramallah noticed on Sunday morning that hundreds of lollipops had been dropped in the streets and alleyways of the city, decorated with the phrase "Ramadan Kareem … Some sweets, after Hamas has made life in the West Bank bitter." Witnesses in Nablus told Ma'an that they saw Israeli soldiers throwing the lollipops in the streets. The Israel military has deployed heavily across the West Bank in the last two weeks, as part of an operation to find three missing Israeli teens that has led to the deaths of seven Palestinian civilians, injured more than 130, and resulted in the detention of nearly 600 after more than 1,350 military raids. Onlookers Ma'an spoke to believed that the passing out of the lollipops is part of a "psychological warfare" by Israeli occupation forces to incite the Palestinian people against Hamas, which it accuses of having "kidnapped" the three Israeli teens. Others, however, said that they thought the "strange behavior" indicates that the Israeli military operation in the West Bank has failed to find a clue about the missing Israeli teenagers, and are hoping to reach out for potential information. The lollipops are not the first anti-Hamas "gifts" Israeli forces have passed out in the West Bank in recent days. During a military raid in Nablus on Thursday, Israeli forces dropped match boxes in the streets with a phrase in colloquial Arabic reading "Beware! Hamas is inflaming the West Bank." 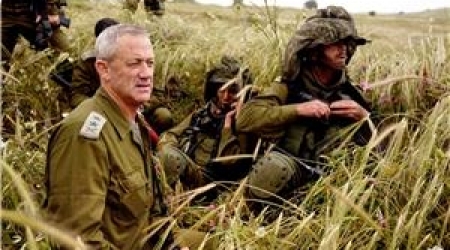 Chief of staff of the Israeli occupation army Benny Gantz issued instructions for the Israeli forces to intensify the attacks against the Gaza Strip in response to rocket attacks, Israeli radio reported Sunday. Gantz held consultations with senior army officers to assess the current situation in the Gaza Strip. “Even though minor factions threw the rockets, Israel shoulders Hamas the responsibility of the attacks,” Israeli military source said. The chief of staff carried out Saturday a tour in the West Bank city of Hebron and discussed with chief of the central area General Nitsan Alon the ongoing search campaigns in hunt for the three missing settlers. The Hamas movement denounced the latest Israeli military escalation against the Palestinian people in the Gaza Strip and the West Bank, and said Israel’s failure in the West Bank, makes it desire a larger escalation against the Gaza Strip. Salah Bardaweel, a senior political leader of the Hamas movement, stated that Israel just wants to show its power, and wants to ensure it always has the highest military and offensive capabilities. Bardaweel said that, after its failure in locating the three missing settlers in the occupied West Bank, despite the massive invasions, hundreds of arrests and the dozens of casualties, Israel decided to strike Gaza, to compensate its failures. However, the Hamas official said he does not believe the latest aggression on Gaza will turn into a full-blown war, adding that Israel knows such a war would come at a hefty price. “Israel knows it does not need a new scandal, a new war on Gaza that it cannot determine its outcome or effectiveness”, he said, “It knows a new war would draw more international criticism, and isolation”. On Saturday evening, two civilians were injured when the Israeli army fired rounds of live ammunition, and shells, into a Palestinian area, east of Khan Younis, in the southern part of the Gaza Strip. Three Palestinian civilians suffered injuries at dawn Sunday in a renewed wave of Israeli aerial attacks on different areas of the Gaza Strip. The Palestinian information center (PIC) reporter in Gaza said that Abu Jarad security site to the south of Gaza city sustained considerable material damage following an Israeli airstrike. Meanwhile, intensive Israeli military moves in the eastern border area of Deir Al-Balah district was also reported. Israeli warplanes also targeted three resistance sites in Khan Younis district, two of them belonging to Al-Qassam Brigades of Hamas and Al-Quds Brigades of Islamic Jihad. The PIC reporter said that a child suffered slight injuries in the Israeli air raid that targeted Al-Ahrar site in the west of Khan Younis district. In Rafah area, some Palestinian homes sustained damage when the Israeli occupation army waged five air raids that targeted resistance sites and empty lands. 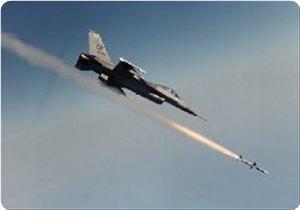 Two more airstrikes targeted a resistance site belonging to Al-Qassam Brigades to the north of Nuseirat refugee camp in central Gaza and another site near Al-Nour area in the south of Gaza city. The Israeli Air Force carried out, on Sunday at dawn, a series of air strikes targeting different areas in the besieged and impoverished Gaza Strip, causing excessive property damage. The Palestinian News & Info Agency (WAFA) has reported that an F16 Israeli fighter jet fired a missile into an area, northwest of the Nusseirat refugee camp, in central Gaza, causing excessive property damage, and anxiety attacks among the resident, especially the children. The area has been repeatedly targeted, over the last few days. Two more missiles were fired into an area, east of Rafah, in the southern part of the Gaza Strip, causing damage to several buildings and homes. The Israeli Air Force also fired two missiles into what is believed to be a resistance camp, in the al-Boreij refugee camp, in central Gaza, causing damage but no injuries. Another site was also shelled in the Zeitoun neighborhood in Gaza City, causing excessive property damage. WAFA said the army also fired a missile at a hothouse in a land located close to the al-Farouq Mosque, also in the Zeitoun neighborhood, causing damage and anxiety attacks among the residents. In Khan Younis, the Israeli Air Force fired missiles into two areas, causing excessive property damage to a number of homes. 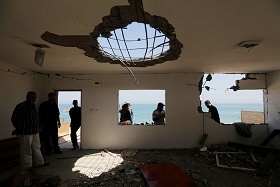 On Saturday at dawn, the Israeli Air Force carried the Israeli Air Force attacked several targets and areas in the coastal region, causing excessive property damage. On Friday, two Palestinians have been killed, and three others injured, when an Israeli drone fired a missile at a car, in the ash-Shati’ refugee camp, west of Gaza City. Also on Friday, seven Palestinians, including a child and a pregnant woman, have been injured when the Israeli army fired artillery shells into Khan Younis. Palestinian medical sources reported, on Saturday evening, that two civilians were injured when the Israeli army fired rounds of live ammunition, and shells, into a Palestinian area, east of Khan Younis, in the southern part of the Gaza Strip. 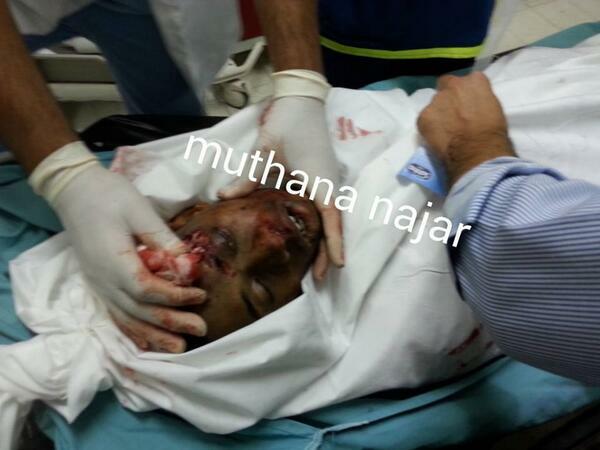 The sources said the two suffered moderate injuries, and were moved to the Nasser Hospital, in Khan Younis. 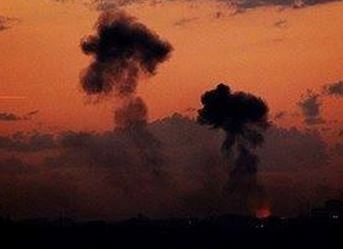 On Saturday at night, the army fired artillery shells into an agricultural area east of Deir al-Balah, in central Gaza, and several shells into farmlands in Beit Hanoun, in the northern part of the Gaza Strip. Meanwhile, armed resistance groups in Gaza fired a number of shells into Sderot, Asqalan and the Western Negev, while Israeli medical sources said one man was injured in Sderot. Late on Saturday at night, Israeli sources said two shells landed in an open area in the Sdot HaNegev, and Sha'ar HaNegev Regional Council, in the Western Negev area, causing no damage or injuries. On Friday, seven Palestinians, including a child and a pregnant woman, have been injured when the Israeli army fired artillery shells into Khan Younis. Also on Friday, two Palestinians have been killed, and three others injured, when an Israeli drone fired a missile at a car, in the ash-Shati’ refugee camp, west of Gaza City. The Israeli occupation forces (IOF) stormed at dawn Saturday Taanach, Araqa, Anin, and Zbobh towns west of Jenin and raided homes as part of an arbitrary campaign aimed at looking for three missing settlers. Local sources said that IOF soldiers broke into Araqa town and carried out provocative practices. Several citizens were questioned at Friday prayers amid intensive presence of Israeli forces. Israeli forces also stormed Anin town at early morning hours and erected a military checkpoint at its entrance, checking the by-passers’ identity cards. The sources also revealed that Israeli forces deployed in neighborhoods of Taanach and Zbobh in Jenin. Several homes were raided, while no arrests were reported. In another incident, the IOF stormed on the same day at dawn Bani Neim town in al-Khalil southern occupied West Bank. Raid and search operations were reported throughout the town. 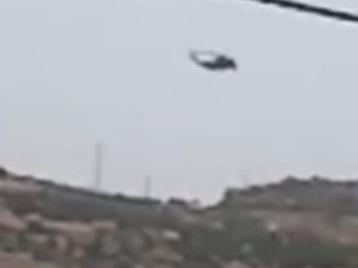 Eyewitnesses said that a number of homes were stormed and violently searched as part of Israeli military campaign in West Bank declared two weeks ago searching for the three missing soldiers. The UN Office for the Coordination of Humanitarian Affairs (OCHA) and United Nations High Commissioner for Human Rights (UNHCHR) called on Israel to ensure respect for international law, through avoiding punishing individuals for offences they have not personally committed or by imposing collective penalties. In its weekly report issued on Friday, OCHA said that the large-scale Israeli military operations, which began on 13 June in the Hebron governorate following the suspected abduction of three Israeli youth, continued and expanded across the West Bank, with the stated objective of finding and releasing the youth, as well as undermining Hamas infrastructure. Many of the operations triggered widespread clashes between Palestinian residents and Israeli forces in dozens of cities, villages and refugee camps, during which four Palestinian civilians were shot with live ammunition and killed, bringing the total number of Palestinians killed during post-13 June military operations to six, according to the report. 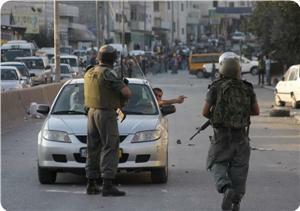 Additionally, a total of 106 Palestinians, including 28 children, were injured during the clashes, the report added. Overall, Israeli forces conducted more than 300 search-and-arrest operations during the reporting period, some of which resulted in damage to property in homes searched. A total of 340 Palestinians were arrested during these operations, mostly alleged Hamas and Islamic Jihad members, including dozens who were released in 2011 in the context of a prisoner swap (the ‘Shalit deal’). "A significant proportion of those arrested are being held under administrative detention orders, imprisonment without charge or trial. Consequently, the total number of administrative detainees in Israeli prisons increased since the beginning of the current operations from approximately 190 to at least 340, according to the Prisoners Support and Human Rights Association (Addameer)." In the context of current military operations, the Israeli army raided 60 of Islamic associations, allegedly linked to Hamas, confiscated computers and other equipment, and shutdown 8 others by military order. These measures are expected to disrupt the delivery of services and assistance to thousands of beneficiaries. The report also pointed out that movement restrictions continue disrupting access to services and places of work. "Most of the movement restrictions imposed last week following the start of the current operations, primarily across the Hebron governorate, have remained in place, disrupting access of people to services, markets and workplaces, and resulting in significant economic losses." The vast majority of Hebron governorate’s residents have remained subject to a series of additional movement restrictions, including preventing men aged between 16 and 50 from crossing the Wadi an Nar checkpoint, which controls the single route available for most Palestinians between the central and southern West Bank; the invalidation of permits to access East Jerusalem, Israel and some settlement areas; and preventing men between 20 and 50 years of age from traveling to Jordan via the Allenby Bridge, the report clarified. In the northern West Bank, the main entrances to ‘Izbet at Tabib and ‘Azzun villages (Qalqiliya) have remained closed for the second consecutive week, forcing residents to use a long detour to reach main services and workplaces in Qalqiliya city and increasing transport costs. On 17 and 18 June, the Israeli authorities demolished a total of 14 Palestinian-owned structures in Area C of the West Bank, due to the lack of Israeli-issued building permits, displacing 42 people, around half of whom were children, and affecting at least 50 others. On the other hand, the UN report said that Erez passenger crossing has remained closed since 13 June preventing the vast majority of permit holders (primarily patients, senior businessmen and staff of international organizations) to leave or enter Gaza. A teenage Palestinian boy was injured during clashes south of Bethlehem late Friday between local young men and Israeli troops who raided a refugee camp and detained two men. Palestinian security sources told Ma’an that a 15-year-old boy in in Duheisha refugee camp was injured by shrapnel and evacuated to the public hospital in Beit Jala. The sources highlighted that local young men clashed with the soldiers during a predawn detention raid. The soldiers fired live ammunition as well as rubber-coated bullets and tear-gas canisters. Many residents chocked on tear gas which Israeli troops fired heavily in the alleys of the very densely populated camp. 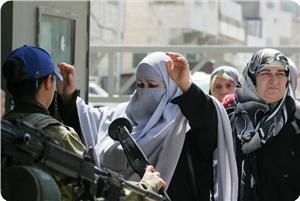 The soldiers eventually detained 47-year-old Nidal Naim Abu Akar and 38-year-old Shadi Issa Maali. Separately, Israeli troops raided the al-Saff neighborhood of Bethlehem and detained 40-year-old Walid Muhammad al-Bustanji from his home. Israeli forces also stormed the Bethlehem-area village of Marah Rabah and detained 40-year-old Ahmad Qasim al-Sheikh. In Ramallah district in the central West Bank, Israeli forces detained chief clerk of the Ramallah court Yahya Salah Ata from his home in the village of Deir Abu Mashal. In addition, Israeli troops detained 22-year-old Muhammad Jamal Nasser, a student of French language at Al-Najah National University in Nablus. Israeli forces also raided the al-Bathan area north of Nablus and detained a former Palestinian prisoner, according to Palestinian security sources. 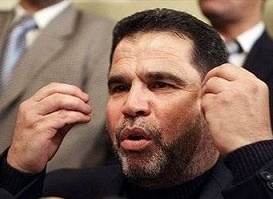 The sources told Ma'an that former Hamas-affiliated prisoner Jaafar Ahmad Dababsa was detained from his home. 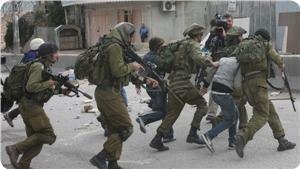 An Israeli military spokeswoman said 18 Palestinians were detained overnight. She said 12 of them were "Hamas operatives." Three Palestinian workers were hospitalized Saturday morning after being assaulted by Israeli soldiers at Zaatara checkpoint south of Nablus in the northern West Bank. One of the victims, Tariq Abdah, 26, told Ma’an that he and 20-year-old Thaer Abu Salih and 21-year-old Salih Abu Salih were travelling from Ramallah to Nablus when Israeli troops stopped them at the checkpoint. “The soldiers ordered us to step out of the car, then they started to kick us and hit us with a steel chair and with rifle butts. We were beaten for more than an hour before they released us, suffering bruises all over our bodies,” Abdah told Ma’an. 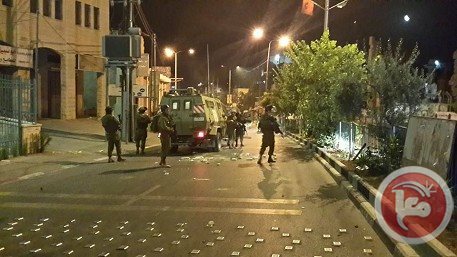 Israeli soldiers invaded, on Friday evening, Beit Kahil village, northwest of the southern West Bank city of Hebron, broke into several homes and stores, and confiscated surveillance equipment, and also confiscated computer files from the local village council. Mousa Atawna, member of the Beit Kahil Village Council, stated that the soldiers continued their invasions into the village, and invaded the building of the Village Council, while council members were holding their weekly meeting, and confiscated several computer files. He added that the soldiers also tried to confiscate the council’s computers, but council members managed to prevent them. Yet, the soldiers copied the hard drives on CD’s using equipment they carried with them. Soldiers also invaded several homes and stores in the village, and confiscated several surveillance equipment and tapes. The village has been subject to daily invasions and assaults since three Israeli settlers went missing on June 12, the Palestinian News & Info Agency (WAFA) has reported. Israel's army launched airstrikes on southern and central Gaza early Saturday after projectiles fired from the coastal enclave landed in the Negev desert, Palestinians and security officials said. In an emailed statement, the Israeli military said that its aircraft targeted two "terror activity sites and a weapon manufacturing facility in the central Gaza Strip and a weapon storage facility in the southern Gaza Strip." The statement added: "Direct hits were confirmed." Earlier, militants in Gaza fired eight projectiles into southern Israel including two mortar shells, the army said. Three rockets landed in the Eshkol regional council and another hit Hof Ashkelon regional council, it said. The country's anti-rocket Iron Dome system intercepted two rockets, an army spokeswoman told Ma'an. According to the military, an explosive device was also activated Friday against forces adjacent to a border fence in northern Gaza, in the eighth such attack this year. There were no reports of injury or damage. Hours earlier, two Palestinians died and two others suffered injuries when Israel's air force bombed a car traveling near al-Shati refugee camp in Gaza City. The killing was the first targeted assassination by Israel since the formation of the Palestinian national unity government at the beginning of June. The two were affiliated with the al-Nasser Salah al-Din Brigades, the military wing of the Popular Resistance Committees. The PRC is a Gaza-based militant group that opposes negotiations with Israel and frequently fires rockets from Gaza. Israel's army said it targeted the "terror operatives" due to their involvement in launching rockets at Israel over the past week. Both men were planning further attacks against Israel, it added. The strike came amid increased tensions in the region as an Israeli military campaign across the West Bank entered its second week. The campaign, the largest deployment since the early 2000s, has left eight Palestinians dead, more than 130 wounded, and more than 560 detained. Israel's army launched airstrikes on southern Gaza early Saturday after projectiles fired from the coastal enclave landed in the southern Negev desert, Palestinians in Gaza said. An Israeli military spokeswoman said the army checking the reports.